You just put the finishing touches on a brand new website and you’re excited to share it with the world. After dozens of hours of hard work, you’re finally ready to let the flood gates open. You built it, and they did not come. Soon you realize that promoting a new website is really hard and you start looking for realistic ways to get free traffic. Fortunately you find this article and realize that getting free traffic isn’t impossible, you just have to know where to look. One expert tells you Facebook is where you need to be at. Another swears that Instagram is the place to get free traffic in 2018. You’re not sure what to do, but know you can’t possibly devote time to them all. Fast forward two years and you reflect on how you built your first six-figure business. After a little trial and error, you settled on the free traffic method that worked best for you. You did your homework and realized that your target audience was easier to reach on a particular network (and you ignored what all the “experts” were telling you to do). You didn’t give up after one week if it seemingly not working and you saw the process through. Finally, you invested your time and effort into a well-crafted social media strategy and you perfected it. It sounds like some sort of convoluted fairy tale but it’s not. It’s also exactly what Jeff and Ben did with Pinterest, and it’s something you can do too. Pick one method and stick to it. Then add another. Eventually you’ll diversify your traffic sources and branch out from the singular source that helped you grow in the first place. To help you in your search we’ve created a list of 50 free (and paid) ways can get free traffic for your website or blog. If you haven’t already, create a blog or website: In order to promote your business, you must have a way for your potential customers to learn what your business is all about in an easy to access format. A website or blog is the perfect way to achieve this. Define your business objective: Before you can reasonably expect to get free traffic in the ways listed in this article, you must definite your business’s objective. If you can’t define your business’s purpose, then your potential customer or loyal reader definitely won’t be able to. They need to know what’s in for them and what they can expect from your business. Offer a valuable opt-in to your readers so they’ll want to sign up with their email address and receive a great freebie. Once you’ve built your email list, you can contact them with whatever information is helpful to your business. Just be careful not to spam your email list with only emails that are focused around selling. You want to provide your email list with valuable content that is helpful to them to establish trust among your readers. When people feel connected to the face (or faces) behind a business, they are more likely to establish a relationship of trust and you will appear more credible if your video is created well. Video is one of the most effective ways to get free traffic to your website at the moment as social media platforms are placing a huge emphasis on this medium of engaging content (video generates 1200% more shares). Who doesn’t like free stuff? This is the perfect way to show what you know and offer your services to customers in a more personalized way. Use platforms like Google +, Quora, Facebook groups (like ours), and more to establish yourself in the online atmosphere. Communicate with others, offer your help (without always linking to your website, posts, etc) and develop relationships. You’ll develop trust and credibility and from there you can offer services, connect to collaborate, and more. This is a great option to get free traffic without appearing too “salesy”. Answer a list of commonly asked questions about your business so your readers can find all the answers they need in one easy to access place. Networking is an incredibly important aspect of business development so get your name out there — groups are a great way to do this. There’s nothing worse than coming across a blog I absolutely love and not being able to find a way to subscribe. If you want recurring free traffic to your blog or website then make it stupid-simple for your readers (and customers) to subscribe. That way they can continue to be in the loop with all the happenings going on in your business. Relate with your readers and customers by telling them your story and how you got to where you are today. Why should they trust you when it comes to your business? Why are you qualified or or equipped to help them? You gain additional referral traffic from readers clicking on links that lead back to one of your articles (if you choose to use yourself as a source). Your site gains link equity (link juice), from an SEO perspective, if your link is a do-follow link. You gain credibility/authority by posting on other authoritative sites (you become a source of information on a particular topic). The truth is some people just don’t like to read. They’d rather listen to a 10-minute, informative podcast than painfully skim through a 3000 word article such as this one. You can kill two birds with one stone by starting your own podcast that discusses the same content that you already publish to your blog or website. You’ll reach an even bigger audience and cater to multiple different types of learners all at once. Creating a Gravatar is imperative when it comes to communicating with others influencers in your niche. It stands of little use to network with others if they have no idea who you are, or what business you stand behind. By creating a Gravatar, people can click your image and read all about your blog or business with just one click. Creating an ebook is not only a great way to supplement your income, but it also gives you the chance to gain credibility, widen your audience, and cultivate a relationship with lifelong customers. We’ve established by now that everybody loves free, so why not create an email course that provides valuable content but will also hook your reader to want more? All they have to do is sign up with their email, which in return will contribute to your growing email list — aka another loyal reader/customer. The most tried and true of free traffic sources, social media is also still a great way to get targeted traffic on your website content. Despite its ever increasing competitiveness, there is no better place to reach customers than where they spend several hours of their day — glued to social networks. A Facebook page is a great place to reach people and grow your audience/customer base. You can answer questions, post great content, offer freebies, facilitate discussion, share events your business is hosting, and more. It’s important to communicate and interact with other businesses and people within your niche. The more active you are among people who are interested in the content you are promoting or selling, the greater chance you have of growing your audience, establishing credibility, and profiting from free website traffic. A LinkedIn profile is another fantastic way to get more traffic to your website or business. Simply make sure your profile has keywords scattered throughout so you’ll more frequently show up searches. In addition, LinkedIn is another great resource to define your business so your customers know what your business is all about and can easily access information that is helpful to them. Hashtags are another great way for your business to be discovered. Embed tweets (with hashtags) directly into blog posts using a plugin such as Social Warfare — they’re a great way to break up long paragraphs and can also be used to add extra emphasis to a particular quote or point you’re trying to make. Also, don’t forget to make sure there’s a link to your website in your profile so you can get free traffic that way, too. If your business has content that is visually appealing (such as food, fashion or photography), Instagram is the perfect tool for you to promote your business. Beautiful images that will capture your audience and possibly entice them to click-through to more lead generating, sales-oriented content. Make sure your website listed on your profile as it is the most direct way your followers can access your website from Instagram. Pinterest is a fantastic way to get your content in front of hundreds of thousands of people without ever paying a dime. Pinterest, a “visual” search engine, allows users to scan through photos of ideas or products that interest them most. If you have a knack for design, and can create visually appealing images, you can get massive amounts of free targeted website traffic without click-baiting or otherwise appearing sleazy. What could be easier than having your audience promote your business for you? This can be done simply by adding share buttons to your website and simply asking your readers to give the content a share if the content was helpful to them. Business cards are a great way to get your business’s information out there and in the hands of potential customers. Make sure to design your business card in a way that catches the eye and consider offering a special bonus of value to your customer. Google, Yelp, Yahoo, Bing, White Pages, and Manta are just a few of the many places you can list your business so people can easily find you. It’s never a bad idea to pop into friends and family’s inboxes to express excitement for your business, offer services to them, and ask if they know of anyone who could benefit from your business. It’s all about networking and connections. Collaborations or partnerships with similar businesses can be a great opportunity for getting free targeted website traffic. You could cross-promote, offer special discounts when customers place an order from both businesses, co-create a product, or run a contest together. Posting informative flyers on bulletin boards, in transportation stations where people generally have awhile to wait, or in grocery stores if they have boards available can be a very effective tool for local business. Passing out flyers to people walking by may be even more effective as you can strike up a conversation or even answer questions if someone is curious about your business. Create pens, stickers, sticky notes, and other small items with your business name on them and distribute them at corporate events, public gatherings or packaged in physical products that you sell. Craigslist is a great place to list your services and be discovered by new customers. If its within your budget, using Facebook Ads or even posting sponsored content on Instagram could be beneficial to your business if your ad is effective. Some businesses are naturally a better fit for Facebook Ads so don’t spend a ton of money on them before figuring out if your business and Facebook Ads were never a good marriage to begin with. There’s something about being personal in a world where we are constantly communicating through text behind a screen. Writing a handwritten thank you card or letter can do wonders in winning over your customers. Show your customers you care about them. Contact them, offer an exclusive discount, write thank you cards, do whatever it takes to wow them and make them want to come back for more. If applicable, you could sponsor a children’s sports team, a local charity, or something of the like. Your business name will be advertised and you’ll notoriety in your community. SEO pays off in the long run. It may take some work to rank high on SERPs, but once you do, loads of people will discover your website. StumbleUpon is another way to get free traffic if people like your content and it continues to circulate. Just do your research on StumpleUpon first because if you share your own content too much it could do nothing for you. I don’t know about you, but whenever I’m thinking about making a purchase I always check reviews first. Testimonials from customers can take your business a long way if your customers are satisfied. So first, make sure your services or products are of high-quality, and second, ask happy customers to provide feedback in exchange for something of value. Think a discount off another product, a bonus, a freebie, or something of that sort. Who knows, maybe they’ll even be so satisfied they’ll offer a review for free! Connections make a huge difference in the business world. If you give one person some business cards to pass on to friends, and they refer you to a few more friends, and the cycle continues, you’ll have a huge web of potential customers in no time. Have you ever participated in a giveaway on Instagram where you were required to follow a loop of profiles and tag a few friends in the comments? Those giveaways work because people want to win the amazing prize so they continue the loop, which in return produces a ton of new followers for the people hosting the giveaway (and potential new followers from friends tagged). We host a recurring giveaway that helps us get free traffic and it’s worth its weight in gold when it comes to collecting targeted emails. When people are genuinely satisfied and happy about a service or product they bought, they are most likely going to want to share it with their friends! Always provide quality content and your tribe will do the rest. Take MaryKay for example, a thriving business that makes sales solely based on a MaryKay rep hosting a party where women can try makeup and skin products. Host a fun party where attenders can try out products, get information on services, collect coupons or discount codes, and of course have a fun time. Offer your services or products to a local organization in exchange for an honest testimonial. Seek out radio presenters, TV presenters, local magazines and newspapers in your area. Fewer are utilizing these mediums than ever before so this, perhaps ironically, increases your chances of actually getting coverage. Meet ups are great for networking purposes, as well as engaging personally with customers or potential customers in a much more relational manner. Go around town and pass out flyers or post them in common places where people are most likely to see them. Communicate to people what your business is all about and how you can be of help to others. People love learning from the best. Compile a list and contact some of the biggest names in your niche. Interviewing even one or two thought leaders in your arena can be a good way to provide exception value to your readers but also provides an opportunity to leverage that thought leaders audience. If they’re willing to share your article, there’s a chance you can land a high-quality do-follow link as well as get free traffic to your website as direct referrals pour in to your interview post. By sharing similar content to your niche, you are showing that you support all businesses and aren’t only about promoting yourself. Add photos of your business and encourage happy customers to leave a review. Hook first time customers in with a great deal or bonus and continue to go the extra mile even after their first purchase or interaction with your business to show you are the best option for them. Don’t forget about your loyal returning customers, they deserve rewards too! Thank customers for referring you to others by offering discounts, freebies, or anything that would be valuable to them. 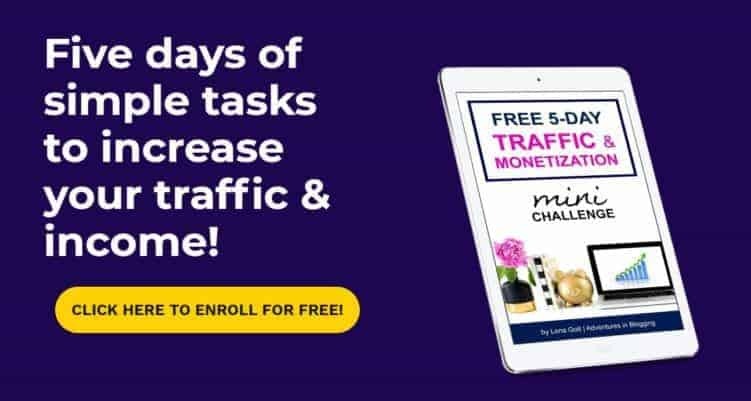 This is one of the most powerful ways to get free traffic because they’re referring other users with high purchase intent which means more sales for you. You could run a giveaway for things like reaching a certain number of followers or subscribers, selling a certain number of products, celebrating an anniversary, or anything you feel is worthy or a giveaway to celebrate and rewards your customers. People aren’t going to care for a freebie that isn’t worth their time. Create freebies that are so valuable you could sell them, but instead are offering them for free to create a trustworthy and credible relationship with your customers. A free sample is a great way for people to be able to try out your product and see if they love it. Once they discover they do, they’ll be back for more. With an abundance of information out there, it’s almost overwhelming trying to choose the most cost-effective solution to your marketing needs. Questions such as “how many ways should I be promoting my business” and “how much time should I be spending on each one,” can be daunting and leave you feeling hopeless. You see, it’s better to find one way to get free traffic that works well, than try to be ten different places at once. Stop spreading yourself so thin that none of them ever become successful. Now that you’ve discovered many options to get more traffic, brainstorm which ones may work best for you. Go after it, conquer it, and then try your hand at another until you’ve got a toolbox of successful strategies to promote your business.